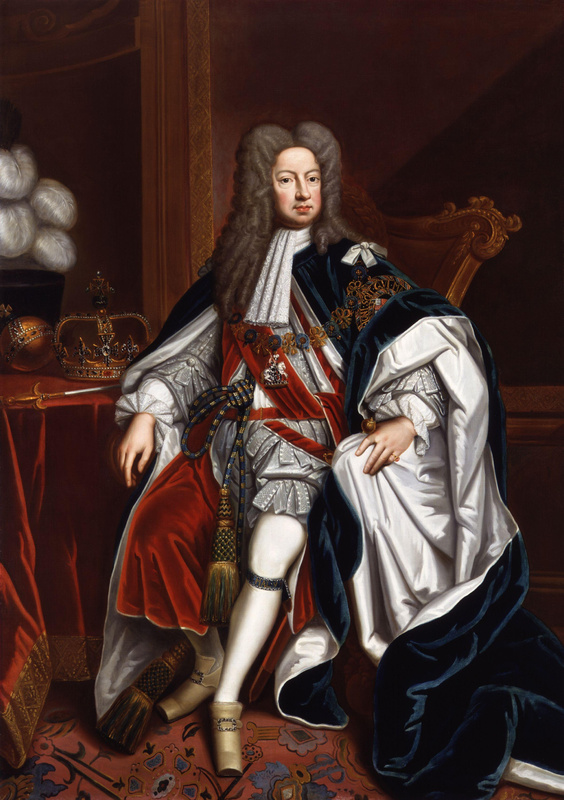 George I was King of Great Britain and Ireland from 1st August 1714 until his death on 11th June 1727 and was the first monarch from the House of Hanover. Before we look at George himself we need to first understand how exactly he came to become king. When Queen Anne died in 1714 without heirs the throne of Great Britain would surely have gone to here nearest relative, James VIII & III. However, following the removal of his father James VII & II there were a number of acts passed that prevented James VIII & III from taking the throne. Firstly in 1701 was the Act of Settlement. This prevented Catholics from the line of succession. The Act was put into place after William and Mary, as well as Anne herself, failed to produce any heirs and all the other members of the Stuart line were Roman Catholics. In 1700 Prince William, Duke of Gloucester, the only son of Anne to survive infancy, died aged only 11. His death destabilised the succession and ultimately led to the English parliament passing the Act of Settlement in 1701. Under the Act anyone who became a Roman Catholic or married a Roman Catholic was unable to inherit the throne. 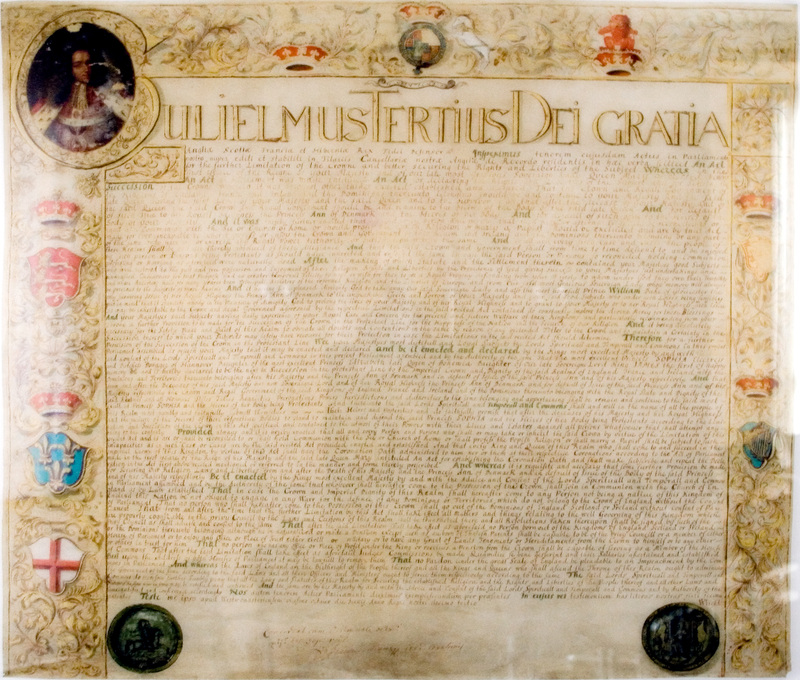 The Act was also used to reinforce the Bill of Rights (1689) and strengthen the principle that government was undertaken by constitutional advisers and not personal advisers chosen by the King or Queen. This alone prevented James VIII & III from taking the throne but it did not guarantee the Hanoverian line would rule throughout Britain. 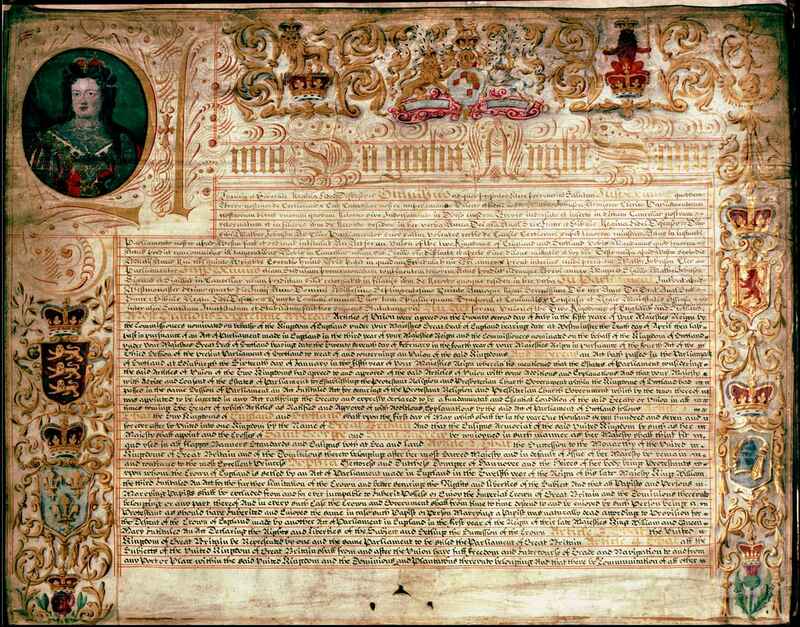 In 1703 in response to the Act of Settlement, the Act of Security was approved by the Scottish parliament and was later ratified in 1704. This Act placed the power of appointing a successor to the Scottish throne in the hands of the Scottish parliament. The successor should be of the Royal line of Scotland, Protestant and not the same as the English successor unless various economic, political and religious conditions were met. The Scottish parliament were not happy that the English parliament had chosen Electress Sophia of Hanover as a successor without consulting them. Finally in 1707 came the inauguration of the Treaty of Union which created the United Kingdom of Scotland, England and Wales. The Union mean the dissolution of the Scottish parliament and thus Act of Security was made invalid and there would be only one successor to the thrones of Scotland, England and Wales. 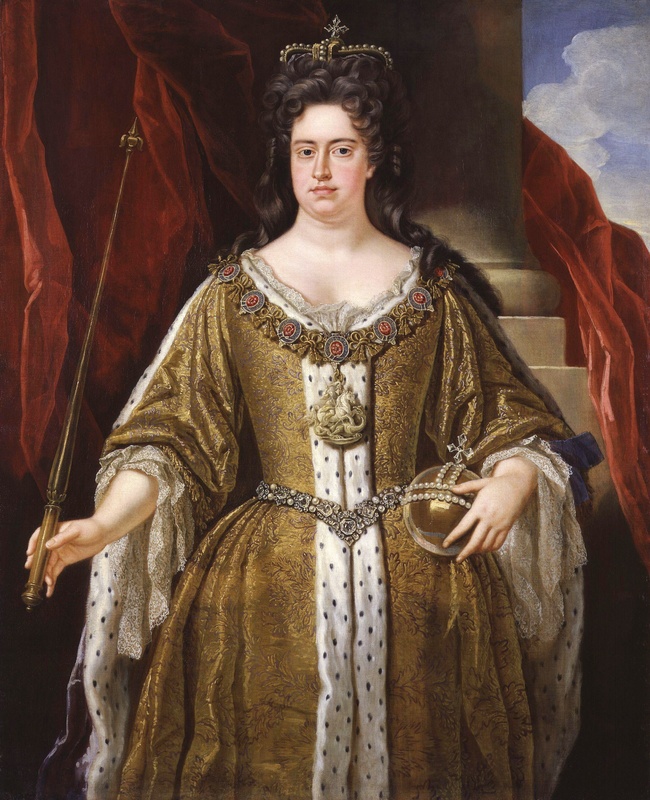 This was decided to be Electress Sophia of Hanover who was the nearest relative to Queen Anne who was a protestant. By all rights it was her who should have followed Anne onto the throne but she unfortunately died a couple of months before Anne so her son George became King following Anne’s death. George I finally arrived in Britain in September 1714 after being forced to wait at the Hague while bad winds prevented passage. He arrived speaking only a few words of English with, it is said, 18 cooks and two mistresses, one very fat and the other tall and thin who became nicknamed ‘Elephant and Castle’ after an area in London. His coronation took place at Westminster Abbey on 20th October and was accompanied by rioting in over 20 towns in the South West of England disrupting and, in some cases, assaulting those celebrating and ransacking their properties. With some Tories sympathetic to the Jacobites, George turned to the Whigs to form a government, and they were to dominate politics for the next generation. This led to many turning against George and fighting to get James VIII & III onto the throne in the early Jacobite uprisings of 1715 and 1719. In 1720 the South Sea Company, with heavy government, royal and aristocratic investment, collapsed. The resulting economic crisis made the king and his ministers extremely unpopular. Robert Walpole was left as the most important figure in the administration and in April 1721 was appointed first lord of the Treasury and in effect, ‘prime minister’. His ascendancy coincided with the decline of the political power of the monarchy and George became less and less involved in government. George remained unpopular in England throughout his life, partly because of his inability to speak English but also because of the perceived greed of his mistresses and rumours concerning his treatment of his wife. He finally died on 11 June 1727 during a visit to Hanover and was succeeded by his son, George II. Hopefully you’ve enjoyed this little insight into the first Hanoverian King of Britain. As always please like, share, tweet and comment.